Because this blog is all over the place: whining about parenthood, waxing poetic about paint colors, now I'm all, "Soup's on, everybody!" I pretty much only like to cook if everything can go into one pot. When I have three or four dishes going at one time, I get super flustered and sometimes angry and end up asking Nekos to take over. (He cooks our dinners way more often than not, and unlike me, cooking calms him.) But casseroles and soup I can do. And I adore baking, so muffins and rolls and breads and things I can do, too. I want to pitch in more often with the dinner-making, so my goal is to make a pot of soup a week, especially since fall is almost here. The best soups I'll share here. Lots of times there will be baked goods on the side. So, this soup was just incredible. We had some fresh tomatoes from our garden that we needed to use up, so that's why I chose this one. We ate it for dinner Monday night, and I've had it for lunch the past two days, too. It's so flavorful and filling, and the flavors are complex. 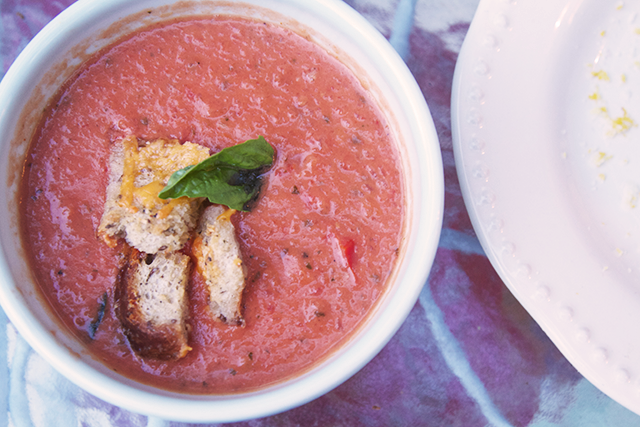 Did you know the secret to good tomato soup is to add cloves? Not garlic cloves--although there are definitely some of those in there, too--but the kind of clove that smells like Christmas time. I had no idea. I think what also took this over the edge was the addition of balsamic vinegar and cayenne pepper in addition to a very generous portion of cream and all the other things you'd expect to find in a pot of tomato basil soup. I found the recipe on AllRecipes.com but adapted it a bunch, according to advice from commenters who'd already cooked up a pot for themselves. In a stockpot, over medium heat, combine the tomatoes, onion, garlic, cloves, cayenne pepper, and chicken broth. Bring to a boil, and gently boil for about 20 minutes to blend all of the flavors. Remove from heat and use an immersion blender (or regular blender) to blend to desired consistency. In a small saucepan, melt the butter over medium heat. Stir in the flour to make a roux, cooking until the roux is a medium brown. Gradually whisk in a bit of the tomato mixture, so that no lumps form, then stir the roux into the big pot of tomatoes. Add balsamic vinegar, basil, and one cup of heavy cream, and cook for another 10 minutes. Season with sugar, pepper and salt, and adjust to taste. 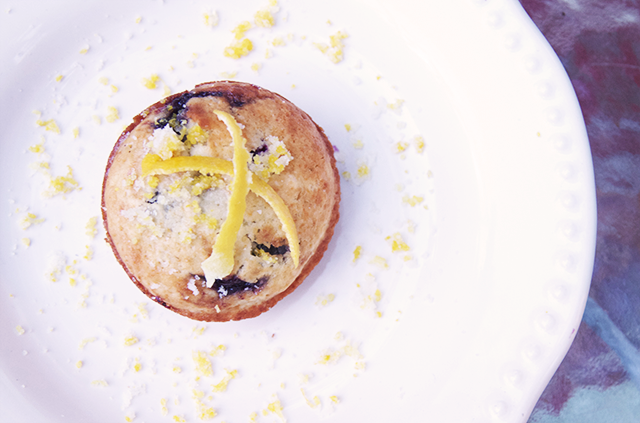 The Double Blueberry Muffins with Citrus Topping were from a recipe I found in Better Homes & Gardens. They were plenty good--especially because they had a pocket of blueberry jam in the center--but not transcendent like the tomato soup. P.s. Another time I made corn chowder + muffins. So predictable. YUM! Those pics are right out of a magazine! yummo! gonna have to add this to my recipe list! 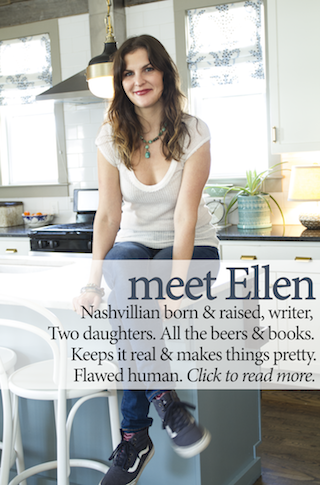 I love soup and live off of it in the Fall/Winter, so am excited to see more recipes from you!